A global network of cities committed to saving lives by preventing noncommunicable diseases and injuries. The Partnership for Healthy Cities is a prestigious global network of cities committed to saving lives by preventing noncommunicable diseases (NCDs) and injuries. Supported by Bloomberg Philanthropies, in partnership with the World Health Organization (WHO) and Vital Strategies, this initiative is enabling cities around the world to deliver high-impact policy or programmatic interventions to reduce NCD risk factors in their communities. Noncommunicable diseases—including heart disease, stroke, cancer, diabetes, and chronic respiratory diseases—and injuries are responsible for more than 45 million deaths per year, or 80% of all deaths worldwide. The majority of these deaths occur in low- and middle-income countries, and many of them are preventable if proven solutions are put into place. 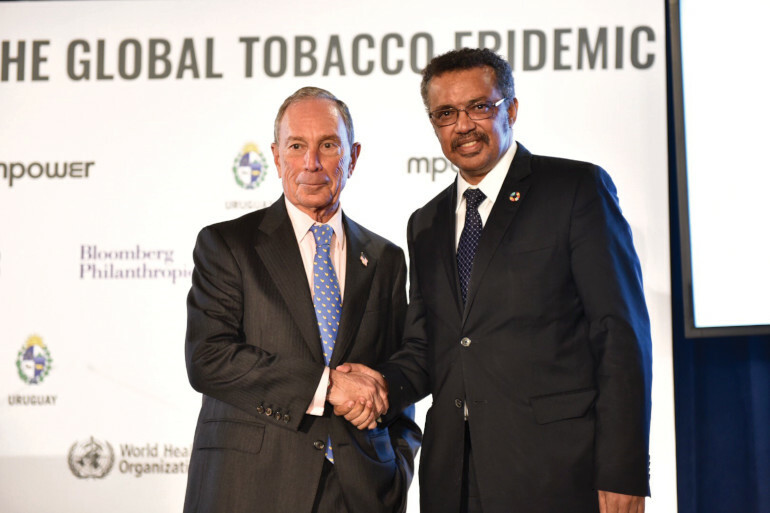 In his capacity as WHO Global Ambassador for Noncommunicable Diseases, Mike Bloomberg launched this initiative to connect and support mayors of cities around the world who are committed to confronting NCDs and injuries. With over half of the world’s population now living in urban settings, cities are uniquely placed to transform the fight against noncommunicable diseases and injuries. Mayors and local leaders have the power to improve the health of their citizens and prepare cities to thrive in the 21st century. 1. Create a smoke-free city. Protect people from second-hand smoke through the introduction, passage, and enforcement of legislation that makes all public places 100% smoke-free. Initiate or implement law establishing comprehensive bans on tobacco advertising, promotion, and sponsorship. 3. Reduce sugary drink consumption. Sugary drink consumption is a leading cause of obesity. Establish taxes on the production or sale of sugary drinks, or establish and implement policies to reduce sugary drink consumption. 4. Healthy food for all. High salt intake is a leading cause of raised blood pressure. Implement key components of the evidence-based WHO SHAKE package for salt reduction. City streets should be safe for all road users. Implement street designs that protect pedestrians and bicyclists, and promote walking and cycling. 6. Cleaner fuels for cleaner indoor air. Smoke from burning wood, dung, or charcoal for cooking and heating is an important contributor to lung and heart disease. Create access to cleaner fuels, such as liquid petroleum gas (LPG). Increase enforcement of drink driving laws. For cities in the Bloomberg Philanthropies Initiative for Global Road Safety (BIGRS), expand current activities. Establish lower speed limits or increase enforcement of existing speed limits. For cities in the Bloomberg Philanthropies Initiative for Global Road Safety (BIGRS), expand current activities. 9. Increase seat-belt and helmet use. Increase enforcement of seat-belt and 2-wheeler helmet use. For cities in the Bloomberg Philanthropies Initiative for Global Road Safety (BIGRS), expand current activities. 10. Monitor NCD risk factors. Conduct a population-based survey of behavioral risk factors for noncommunicable diseases, such as smoking, alcohol consumption, eating habits, and physical activity.